Technology and social media has changed the way we watch and interact with fans during sports events. We can be at home on the couch, at the stadium or the arena, and still interact with a community of Indians, Browns and Cavs fans across the country and around the world through Twitter, Facebook and e-mail. 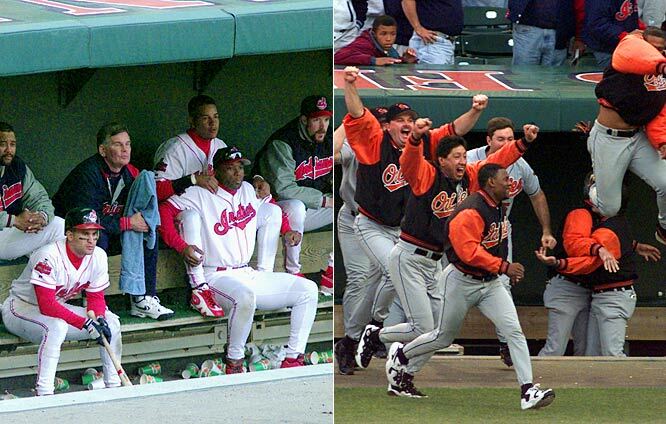 That got us thinking about some of the biggest Cleveland sports moments in our lifetime in the pre-blog and social media era, which we are defining as anything before 2004. So we came up with the 20 biggest sports stories that would have made the Internet blow up in Cleveland had these various social media platforms existed at the time. Today’s installment looks at No. 15 through No. 11 and can be found at The Cleveland Fan.